Enormous and grotesque, tasteless and bloated, Jonathan Littell's book baffled and repulsed readers and critics alike. And yet, there is a strange majesty to it and an awesome ambition. 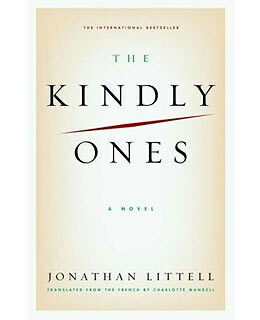 The Kindly Ones is a first-person account of WW II through the eyes of a demented SS officer. We watch him watch himself commit atrocity after atrocity, and we see with absolute clarity the damage that his actions do, not only to his victims but to himself: in committing the ultimate sin, genocide, he destroys his own soul. It's a beast of a book, turgid and far too long, but its power and vision are inescapable.